Leonardo starts in less than half a second. It saves your file in a blink and makes it possible to paint with a large brush in really high resolution without any lag. Leonardo works great on the Microsoft Surface and all other Windows tablets thanks to pressure sensitivity, multi-touch and support for high resolution displays. We also support all Wacom tablets. Smudge tool, PSD-support, better brushes and more are already in the making. But don't wait, even if you download Leonardo today you will still get all these features automatically as soon as they are ready. Leonardo was added by J0y in Aug 2016 and the latest update was made in Mar 2019. The list of alternatives was updated Apr 2019 There is a history of all activites on Leonardo in our Activity Log. It's possible to update the information on Leonardo or report it as discontinued, duplicated or spam. Alternatives to Leonardo for Windows, Mac, Linux, iPhone, iPad and more. Filter by license to discover only free or Open Source alternatives. 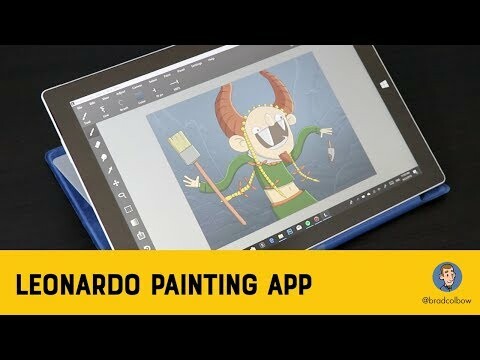 This list contains a total of 25+ apps similar to Leonardo. Maybe you want to be the first to submit a comment about Leonardo? Just click the button up to your right!